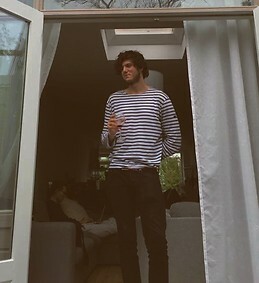 My name is Jules and I am a 20 year old French student starting my 3rd year of studying in Amsterdam. I am currently looking for both an accommodation and a potential roommate. I am looking for a two bedroom apartment within the Amsterdam area. Preferably a furnished apartment or at least with a bed for each room. My budget is of 900 maximum (Including G/W/E). Registration is of course an obligation. As I am a student the payment of the rent and other bills will be assured by my parents. A bit more about myself. My name is Jules and as stated above I am a 20 year old French student. I however grew up in Dubai and 2 years ago moved to Amsterdam to study. I am currently starting my 2nd year of Media and Information bachelors at UvA. My main hobbies include rugby and music. I play rugby out here with AAC Amsterdam and as for the music I play acoustic guitar. I have had experience in being a roommate beforehand so this is not a new experience for me. I’m also a pretty decent cook which is apparently nice. I’m looking for a roommate in roughly my age range (19-22) that’s either a student or a working student. A similar budget is also criteria as to make it fair. Be an individual who enjoys their downtime but also know when it’s time to work. Please have all relevant documents ready so that we can move quickly as time is important.